Buildings around the world account for more than 40 percent of energy use and almost a third of greenhouse gas emissions. The United Nations Environment Programme projects that if we continue with business as usual in the building sector, these emissions will more than double by 2030. The Edge in Amsterdam, deemed the greenest building in the world by BREEAM, the British sustainability rating agency, exemplifies just how much better buildings can be. Solar panels on the roof and the south-facing wall power the building, computers, electric vehicles and smart phones. The building uses 70 percent less electricity than comparable office buildings, and generates more electricity than it uses. The space is flooded with natural light and air is ventilated through the roof. Lighting is provided by super-efficient LED panels wired with sensors that monitor movement, occupancy, light, temperature and humidity. The building is kept comfortable through the use of two deep wells leading to a thermal energy storing aquifer; in summer, warm water is pumped into it and kept insulated; in winter it’s pumped back up for radiant heating. Rainwater is collected to flush the toilets and water the garden, which features beehives and bat homes. The Edge is also possibly the world’s smartest building because of its 30,000 sensors. A smartphone app finds you a parking spot, colleagues or a desk. No one has a permanent desk, but people can choose from a variety of workspaces as needed. The app knows your preferred temperature and light conditions and adjusts the environment accordingly wherever you go. Sensors collect data on how employees interact, conditions in the building and energy use, so when fewer employees are present, whole sections of the building can be shut down to save energy. New York City, number one in LEED’s (the most popular certification program for green buildings) 2015 ranking of certified projects within city limits, may soon be able to boast the most energy efficient skyscraper in the world. 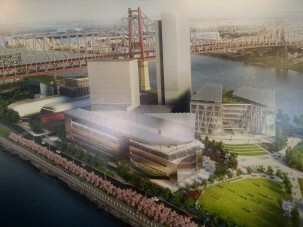 The new Cornell Tech campus on Roosevelt Island will include a 250-foot tall dorm that adheres, not to LEED standards but to the Passive House standard, which focuses on actual energy efficiency performance. The stringent Passive House standard, often used in Europe, limits space heating energy demand, total energy demand, air leakage and temperatures for thermal comfort. The dorm’s façade will be made of prefabricated metal panels that act as a thermal insulated blanket. The combination of insulation, air-tightness, innovative windows, heat recovery and a ventilation system of louvers that enable the building to breathe is projected to save 882 tons of CO2 each year. 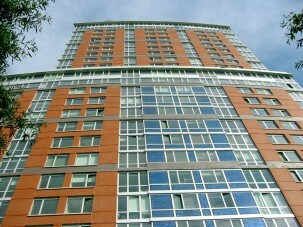 The U.S. Green Building Council defines green building as the “planning, design, construction, and operations of buildings with several central, foremost considerations: energy use, water use, indoor environmental quality, material section and the building’s effects on its site.” Also sometimes considered are the energy embodied in the materials used (the energy needed for all the processes associated with the material from mining and processing to manufacturing, transport and delivery), waste reduction and what happens to construction materials when the building is demolished. Life cycle assessment of a building looks at everything from the extraction of raw materials through processing, manufacturing, use, maintenance and disposal; it also considers embodied energy, greenhouse gas emissions, resource use, pollution and waste. More and more evaluations of actual performance through life cycle assessment are also being utilized, though they are not yet always a part of green building rating systems. Building green requires the coordination of everyone working on a building from the start, including clients, architects, engineers, general contractors and community people because 70 percent of the decisions that have environmental impacts are made in the first 10 percent of the design process, according to the Green Building Alliance. Here are the main strategies used in green building. Green building materials include wood from responsibly managed and certified forests, rapidly renewable plants like bamboo and straw, recycled stone or metal, and materials that are non-toxic and recyclable or that have been reclaimed from other construction projects. 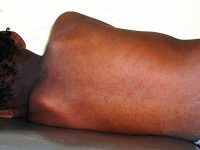 Flooring that uses sealants or adhesive containing volatile organic compounds (VOCs) or other harmful chemicals should not be used. Carpeting should be made of recycled materials or natural fibers like wool or seagrass, and hardwood flooring should use wood certified as sustainably managed, or bamboo or cork that are rapidly renewable. True linoleum made from cork dust, limestone and linseed oil is biodegradable. Stone, ceramic or glass tiles can be recycled or reclaimed. Most insulation materials, the key to a building’s energy efficiency, are made from petrochemicals. They come in flexible sheets or blankets made of fibers of recycled fiberglass, cellulose, denim or mineral wool; insulation can also be made from natural fibers such as sheep’s wool, flax, hemp, cellulose, wood fiber or clay pellets. 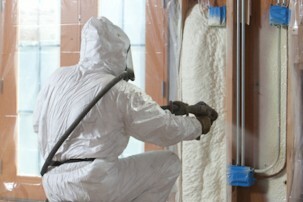 Foam board or spray foam (most use polyurethane) is also commonly used. Loose fill made from blown fiberglass, mineral wool, blown cellulose or vermiculite or perlite is used for small spaces. Prefabricated structural insulation panels made of foam insulation between two boards, and insulated concrete forms with high thermal mass where concrete is pumped in between foam blocks are gaining in popularity. Most insulation does not stop air leaks, however. To create an airtight building, usually a housewrap made of weather-resistant synthetic material is needed to create an air barrier around the entire building envelope. Seams and connections should be sealed with tape. When buildings are airtight, good ventilation is essential to allow fresh air to come in from the outside and stale air to leave through vents, or air to be recirculated and filtered. Ventilation and insulation also control moisture, which can lead to mold and bacteria growth if not checked. Demand-controlled ventilation can use occupancy sensors or CO2 sensors to adjust fresh air intake to the needs of the building occupants. VOCs have harmful impacts on health and comfort, so green building attempts to use construction materials, interior finishes and paints, and cleaning products with low or no VOCs. Unlike most paint, coatings made of natural materials like clay, lime, linseed oil, chalk, milk protein, plant or mineral dyes and natural latex are generally non-toxic. Many traditional rooftops can be up to 90˚ hotter than the surrounding air temperatures, especially in cities. Cool roofs, which reflect solar heat instead of absorbing it, lower temperatures inside a building, reduce the need for air conditioning and thus energy costs, and require little maintenance. They can be coated with white or colored paint-like material made of foam or multiple layers of material that lessen the absorption of solar heat, utilize clay tiles or asphalt shingles, or be constructed of metal. Green infrastructure on roofs and walls offers many benefits. Katia Perini, architect, researcher and the green building expert in vegetative systems for the Earth Institute’s Urban Design Lab, said that green roofs are very effective at saving energy, improving air quality and helping to manage stormwater. They are usually constructed of a top layer of vegetation, soil, a root barrier, drainage, and layers to protect the roof itself and support the weight. Green roofs can be cooler than the surrounding air temperature because they provide shade, and as plants absorb water and evaporate it, the air is cooled. They can reduce the cost of air conditioning by 25 percent, lessen air pollution by collecting fine dust pollutants, increase biodiversity, help manage stormwater by absorbing precipitation, and provide aesthetic enhancement. 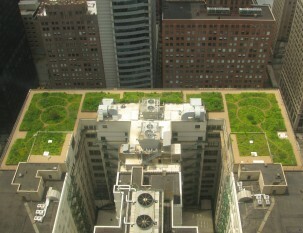 Some green roofs also grow food. 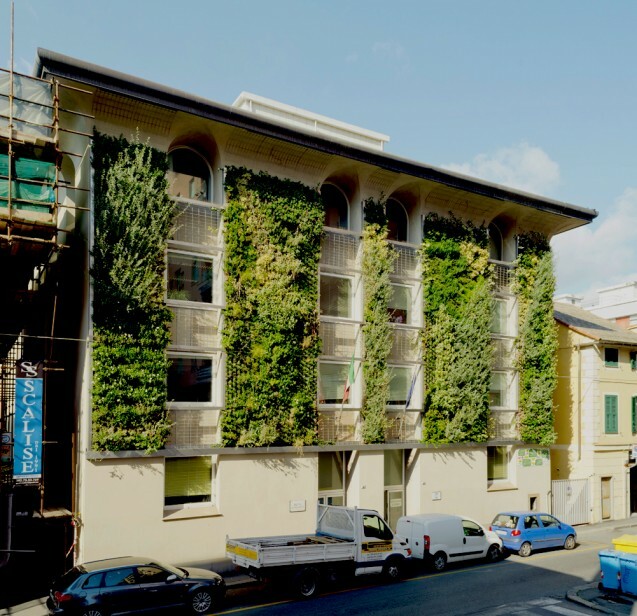 Perini is currently in Genoa, Italy, researching the benefits of vertical vegetation on exterior walls. 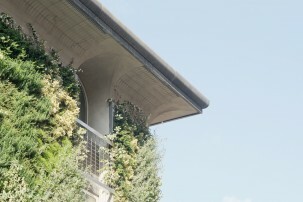 She explained that there are two types: green facades, which utilize climbing plants or plants secured by a trellis and contain enough soil to support the plants; and living wall systems, constructed of thin panels on an artificial growing medium like felt or mineral wool, that need nutrients and water. “We already know that there are benefits of air quality improvement, reduced urban heat island effect, and lower air conditioning and heating energy costs because the plants keep the building cooler due to shading and evaporation,” said Perini. 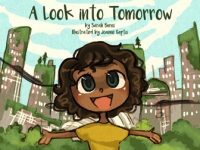 The aim of her research is to actually quantify the benefits and determine which system and components are most effective at improving air quality and saving energy. Perini’s project has already completed air quality and energy performance monitoring, but still needs to combine and develop a life-cycle assessment and cost benefit analysis to determine how sustainable green facades are and what aspects make a difference. Window placement in relation to the angle of the sun can affect the energy efficiency of a building as well as heating and cooling costs. Windows facing east and west allow in more heat than windows facing north and south. Energy efficient windows include double-paned windows filled with argon or krypton for insulation, heat-absorbing tinted windows, insulated windows made of two or more layers, windows with reflective coatings that block more light than heat, and low-emissivity coated windows that block heat but allow light to pass through. Smart windows can change from transparent to translucent when low voltage electricity passes through them, altering the wavelengths of light that can pass through. While they are more costly, they can save money on heating, air conditioning and lighting, and avoid the need for blinds or curtains. Since most people spend 90 percent of their time indoors, lighting is critical. Daylight should be allowed to come into the building as much as possible, while ensuring that there are blinds or shades to reduce excess heat from windows and skylights. Incandescent bulbs are being phased out; compact fluorescent lamps and LED bulbs use less energy and last longer. Passive solar technology or daylighting depends on window placement, the use of thermal mass and the building’s proper orientation to the sun to provide light and heat without any other apparatus. Windows that face south and open interior spaces bring sunlight into the building. A thermal mass, such as water, brick, concrete or adobe, stores warmth when the sun hits it, then releases the heat gradually at night. A thermal mass such as marble, if kept out of the sun, will help keep a building cool. Solar water heaters use solar power to produce hot water. Solar photovoltaic panels on the roof or building exterior convert solar power to electricity. They can be made of various materials that alter their efficiency, including new thin-film flexible solar cells that are cheap and non-toxic. Solar power provides energy independence, and once installed, supplies free and clean energy; the disadvantages are that the power can fluctuate, and systems can be costly to install, though there are many tax credits and incentives available. Wind power from horizontal or vertical axis turbines also provide free and clean energy once installed. 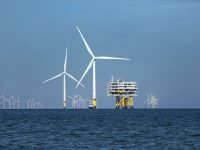 But wind energy is also intermittent, can be noisy and may harm wildlife. Geothermal energy takes advantage of the earth’s internal warmth to provide heat and power. It can be used directly by tapping into geothermal reservoirs for hot water. Steam or hot water can also be captured and used to drive a turbine to produce electricity. Geothermal heat pumps capture heat from the earth, which is a constant 55-60˚F six feet below the ground, to warm a building in winter, then transfer it back into the ground in the summer for cooling. Geothermal energy is economical, clean, quiet, and is available year-round. Globally, buildings use 13.6 percent of all potable water, so reducing water consumption is a key aspect of green building. Water can be conserved with ultra-low flush toilets and low-flow faucets. Greywater systems recycle water that comes from washing machines, sinks or dishwashers. In residential buildings, 50 to 80 percent of the water can be considered greywater and thus recycled for use in landscaping (not for edible plants) or if treated, to flush toilets. The Solaire in Battery Park City, New York, was the first New York City building to have its own wastewater treatment plant on site. It treats 25,000 gallons per day with micro-filtration membranes, ultraviolet light disinfection, and biological nitrogen removal, and uses the recycled water for flushing toilets, replacing the water evaporated from cooling towers, laundry and garden irrigation. The building has virtually halved its water consumption and reduced its wastewater by 56 percent compared to similar buildings in the city. Green landscaping attempts to keep the natural features intact, using native plants and grasses, which require less water. Mulch should be organic, and plants should be fed compost instead of chemical fertilizers. Drip irrigation, which waters the plants at their roots, wastes less water than sprinklers, and rainwater can be collected in barrels for watering plants. Composting should be practiced to minimize waste going to the landfill and produce nutrient-rich humus for the soil. Paved areas need natural drainage to control stormwater runoff, erosion and flooding during heavy rains. 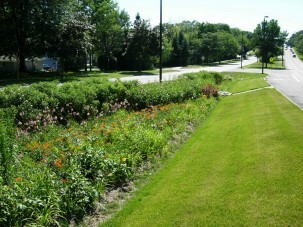 Green infrastructure, such as bioswales and rain gardens, depressions planted with vegetation, absorb runoff and allow it to infiltrate the ground and replenish aquifers. Permeable pavement or pavers with the spaces in between filled with grass or stones, also allow rainwater to be absorbed. LEED (Leadership in Energy and Environmental Design), one of the most utilized certification systems for the design, construction, operation, and maintenance of green buildings in the world, was developed by the U.S. Green Building Council. It scores buildings based on criteria including site selection, public transportation access, water use reduction, energy efficiency, green power, recycled and regional materials, rapidly renewable materials, construction waste management, ventilation, indoor air quality, thermal comfort, daylight and views, and innovation in design. Depending on the number of points earned in these and other categories, a project can receive either a Certified, Silver, Gold or Platinum LEED rating. The latest iteration, LEEDv4, requires a building to measure its entire energy use and report it to the U.S. Green Building Council. While there are no set parameters for energy use, the data will help building operators manage energy more efficiently. Water use must be metered and reduced by 30 percent and the metering data is to be shared with the council. Demand response programs, enabling users to reduce or change their electricity use when electricity prices are higher, will earn credit. And more points can now be earned for using renewable energy as well as community renewable energy systems. BREEAM, the Building Research Establishment Environmental Assessment Methodology, is a British system for certifying the sustainability of buildings. France has HQE, Haute Qualité Environnementale, its standards for green building. 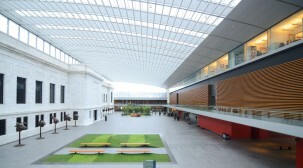 Green Star and NABERS (National Australian Built Environment Rating System) are used in Australia and New Zealand. Another green building strategy mentioned above is Passive House Construction, whose standards were developed in Germany 23 years ago. These standards are arguably the most successful at achieving energy efficiency and reducing daily energy consumption, creating up to 90 percent more efficient heating and cutting overall energy use up to 70 percent. They are founded on insulation, the use of sunlight, and airtight infrastructure. A net-zero or zero-energy building creates as much renewable energy on-site as it consumes, and may even return extra energy to the grid. A net-zero building may not be green in other ways, such as in material use or reducing waste, but it generally produces less greenhouse gas emissions than other non net-zero buildings over the course of its lifetime. As of 2020, California will require all new residential buildings to be net-zero. While a green building has been found to cost about 2 percent more than a non-green building, energy savings alone help recoup the extra cost of the building in about six years. A professor at MIT’s Sloan School of Management, eager to make a business case for green building, analyzed the LEED Gold-certified Sloan School building completed in 2010. 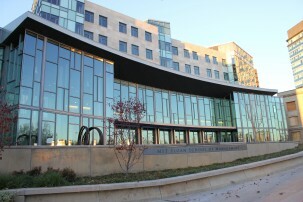 The building uses 42 percent less electricity than other comparable M.I.T. 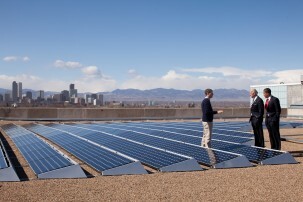 buildings and 70 percent less energy for heating and cooling, for an annual savings of over $500,000. He determined that the net increase in the cost of green building was $340,000 or .25 percent of the building’s cost. The payback time was less than a year, and the current value of the sustainability features of the building is almost $10 million. In March, New York City passed legislation that will require most new municipal building projects to achieve LEED Gold and cut their energy use in half. Sounds great! 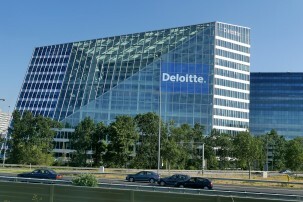 Green buildings definitely need to be given more importance and attention. As mentioned, these traditional buildings are using a great amount of our energy and water resources and are disadvantageous for our environment. We need more environment friendly buildings that are also designed and constructed to operate in an efficient manner.